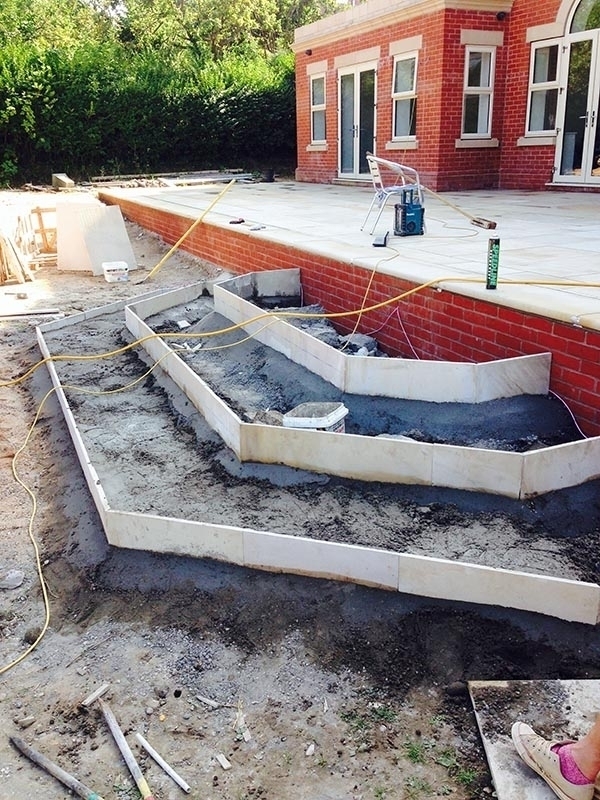 The following images are from a large Patio design project from Summer 2014 in Allestree, Derby. 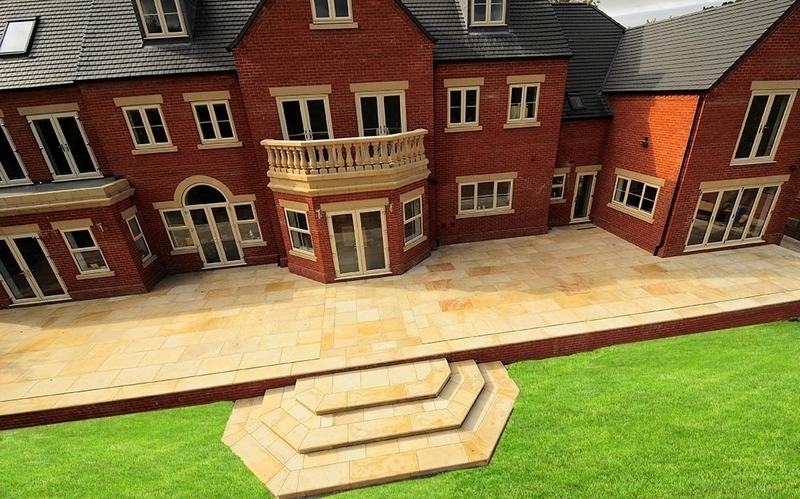 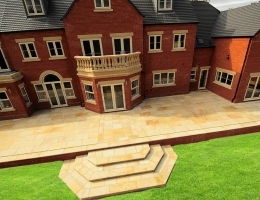 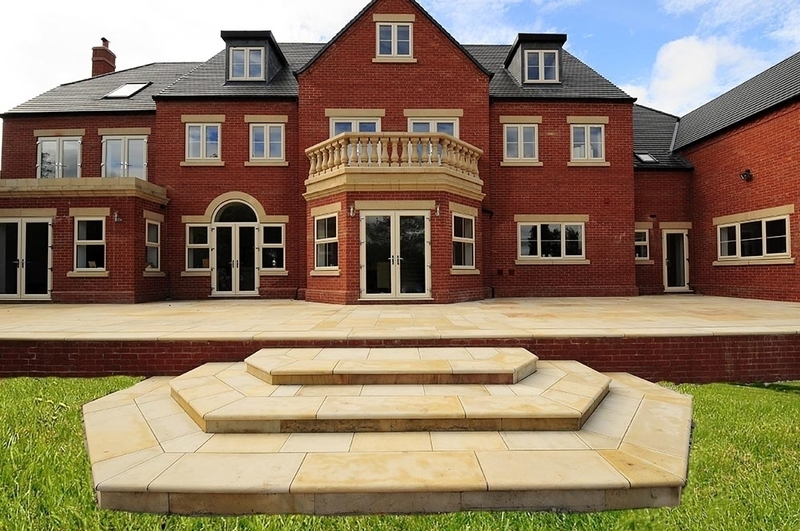 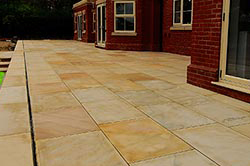 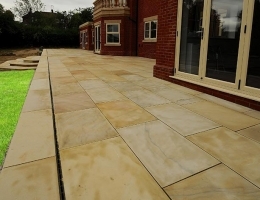 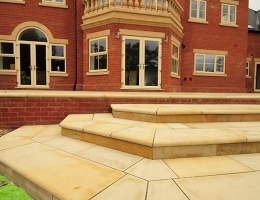 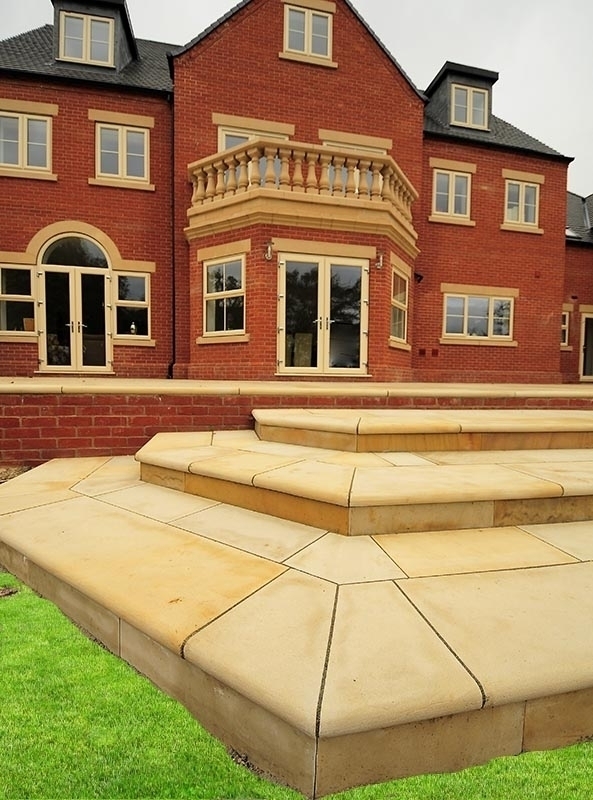 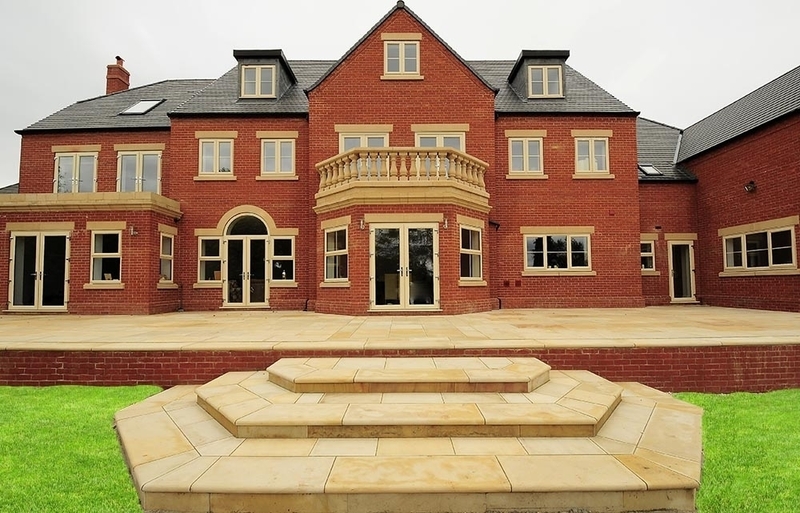 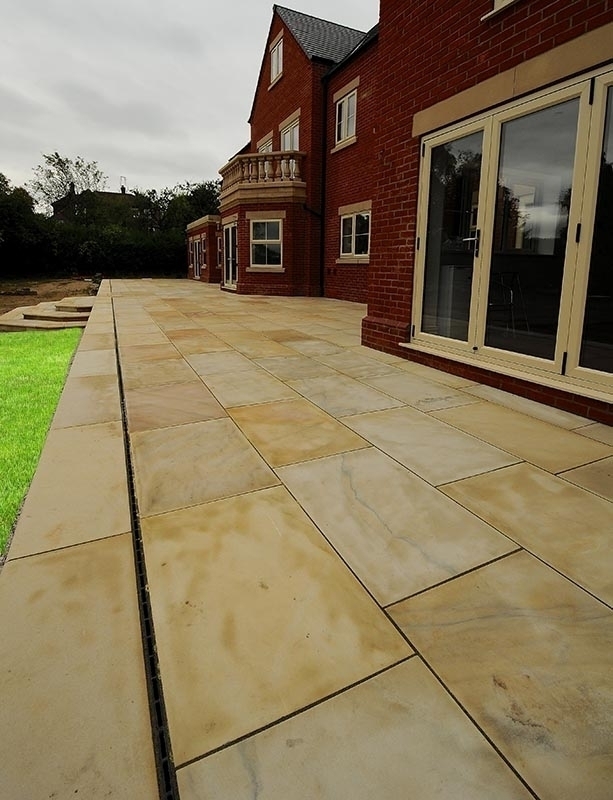 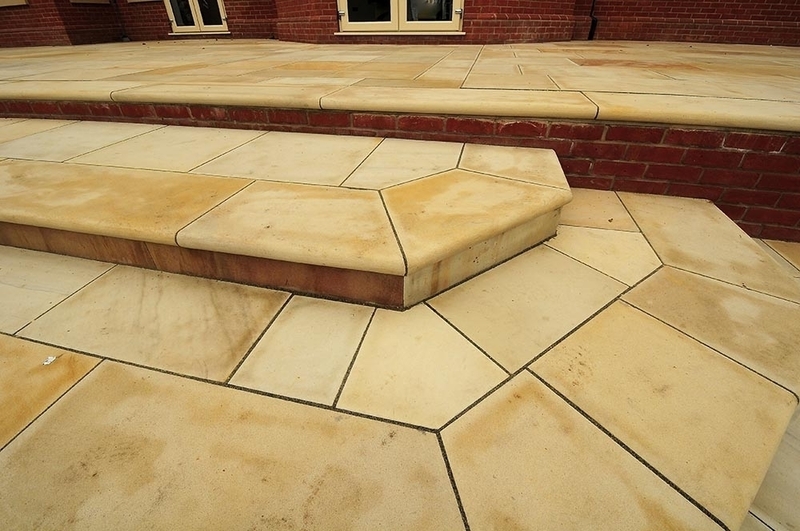 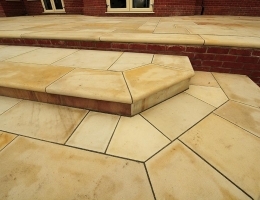 On this large imposing site, we installed natural sandstone coursed paving in random lengths. 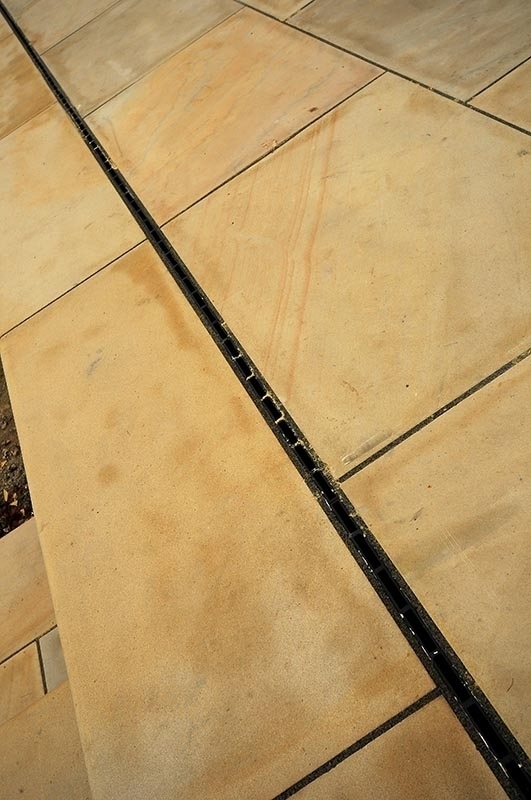 Slot channel drainage was installed across width for surface water run off. 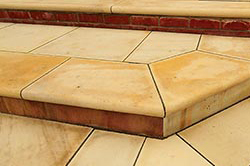 We also added bullnose step kits, front coping detail & new feature steps. 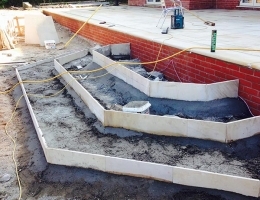 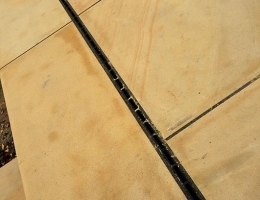 A water based sealant was applied to complete the project.